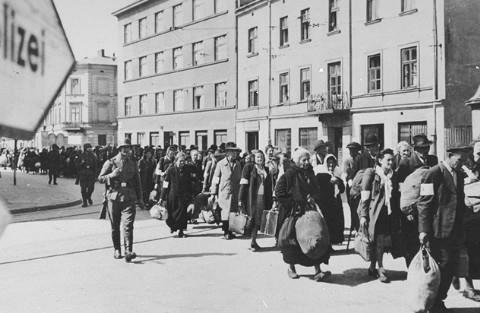 Among the vast number of villages, towns, and other living establishments destroyed by the Nazis was the Krakow ghetto. But in the meantime, it was sensed that Hitler's power had stopped growing at a tremendous pace, and the first defeat of his armies occurred at Stalingrad. Several concentration camps had also stopped functioning. However, other nations were still rapidly being rid of Jews, Greece and Bulgaria being two of them. 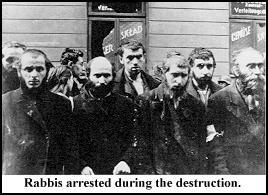 Jewish Resistance in the Warsaw Ghetto! Since 1939, when the Nazis invaded Poland, 400,000 Jews had been confined to a 3.5 mile square area of Warsaw which normally housed 160,000. 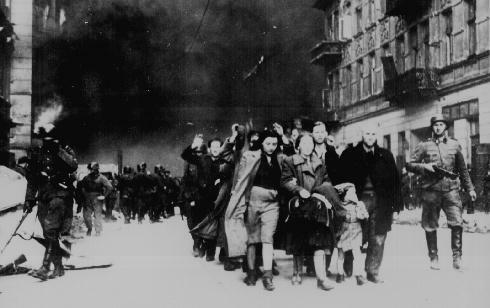 The people in the Warsaw ghetto were banned of all contact with the outside world. Thus food, employment, as well as all necessary resources became scarce. Hundreds of individuals died each day of various reaons, and thousands daily were sent to extermination camps to certain death until only 60,000 people were left. The remaining refused to give in so easily and fought desperately ro resist the Nazis. They kept up the resistance for a total of 28 days until Heinrich Himmler furiously ordered the destruction of the camp, sending General Jürgen Stroop to lead his armies against the poorly armed and weak people of the ghetto. An estimated 56,065 Jews died by May 16, 1943 in one of the most lethal battles of the War.